In Charms, Spells & Formulas, you’ll find rituals and recipes for incenses, oils, powders and washes that you can use to make changes in your life. 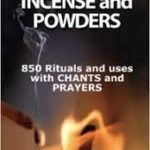 This book provides different methods of magic, voodoo and prayer to accomplish what you want. How would you like to increase the power of your magick? Now you can, with the help of real Louisiana Hoodoo. In Charms, Spells & Formulas, you’ll find rituals and recipes for incenses, oils, powders and washes that you can use to make changes in your life. But that’s just the beginning. You’ll learn the secrets of how to make gris-gris bag charms for any purpose. You also get full instructions on how to set up your altar and perform the ritual to charge the bag so that it becomes a powerful magical tool. Need to improve your health or love life? Make a gris-gris bag! You’ll also learn how to make magical dolls from cloth and clay, and how to increase the power of magical candles by adding herbs to them. Do you think you might have been given the “evil eye?” You’ll learn how to overcome it with the instructions given here. The book also includes full instructions on how to use prayers and Bible psalms to solve your problems. Hoodoo is a tradition that is 200 years old. 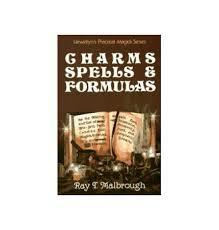 Within these pages you’ll find the secrets of genuine Hoodoo and be able to put them to use! You can use Hoodoo to help get rid of illness and bring prosperity, find romance and get rid of bad luck. 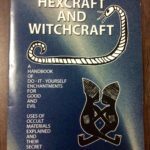 If you are doing any sort of magick at all, you’ll find that the techniques in this book will powerfully enhance your magick. And if you’re new to magick, you’ll be surprised at just how successful the magick in this book can be.